When it comes to museums, America certainly packs a punch, with thousands of institutions filled with a wealth of incredible artworks. According to statistics, there are more than 35,000 museums in the United States, filled with countless works of priceless art, historical artifacts, and natural marvels. From ancient art and African sculpture to priceless prints and modern photography, these museums are houses of history that aim to preserve, interpret, and educate the public. 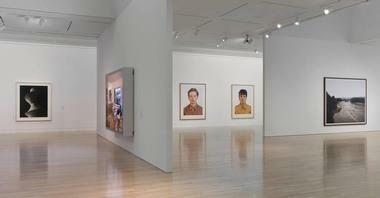 Here are some of the top art museums in the United States. 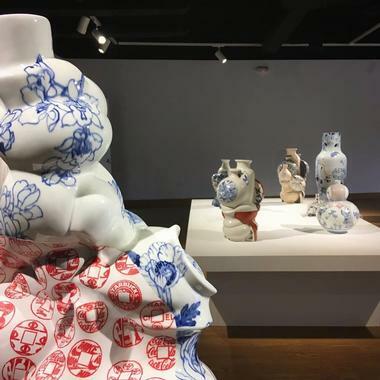 Located on the campus of Colby College in Waterville, Maine, the Colby College Museum of Art is an art museum with more than 38,000 square feet of exhibition space and over 8,000 works in its permanent collection. 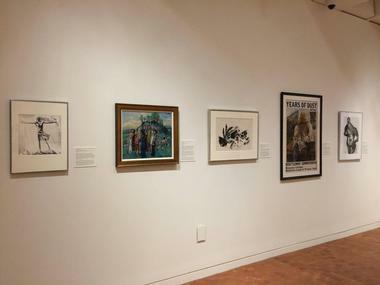 Founded in 1959 and comprising five wings, the Colby College Museum of Art has a permanent collection that specializes in American and contemporary art, along with notable holdings of European paintings, Chinese antiquities, and works on paper from around the world. Acquisitions in the museum include the Alex Katz Collection, the John Marin Collection, the Terry Winters Collection, the Whistler Collection, and the Skowhegan Lecture Archive. 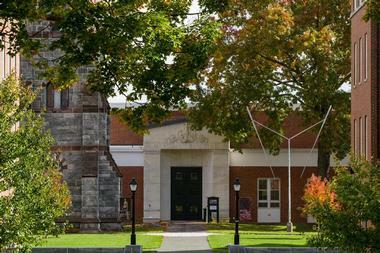 The museum also serves as a teaching resource for Colby College. Owned and operated by Dartmouth College in Hanover, New Hampshire, the Hood Museum of Art is a museum with a collection that encompasses essential holdings of American, African, Native American, European, and Melanesian art. Other notable acquisitions held by the museum include Indigenous Australian contemporary art, Assyrian reliefs, a major archive of photojournalism, and works by renowned artists such as Picasso, Sisley, Vuillard, Kent, and Georgia O’Keefe. Founded in 1977, the museum is currently housed in a building designed by Chad Floyd and Charles Willard Moore, and the director of the museum is John Stomberg. The University of Arizona Museum of Art (UAMA) is an art museum operated by the University of Arizona in Tucson, Arizona, and features a permanent collection of more than 6,000 works of art, including paintings, prints, drawings, and sculptures. Located near Park Avenue and Speedway Boulevard on the university’s campus, the museum’s collection includes works from the American and European exceptional art periods to the Renaissance and the present. The University of Arizona Museum of Art forms part of “the Museum Neighborhood,” which also includes the three other museums of the Arizona State Museum, the Arizona Historical Society, and the Center for Creative Photography. 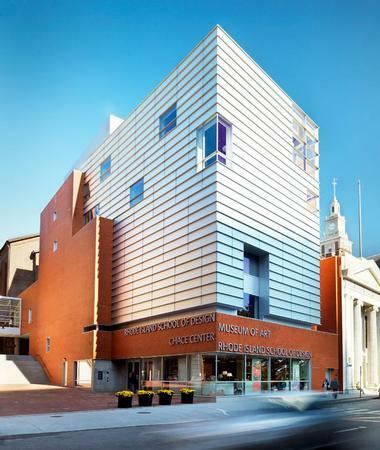 The Rhode Island School of Design Museum (RISD) is an art museum in Providence in the U.S. state of Rhode Island. Founded in 1877 and affiliated with the Rhode Island School of Design, the art museum is one of the largest in the country. The museum houses a fascinating collection of approximately 100,000 objects with works originally from Africa, Asia, Europe, ancient Egypt, ancient Greece and Rome, and the Americas. 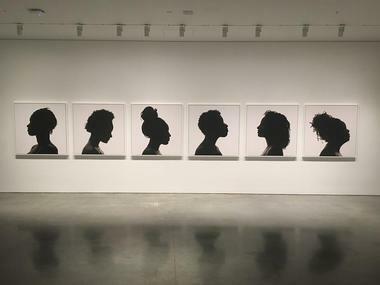 Prominent international and American artists represented in the museum include Andy Warhol, Monet, Manet, Picasso, Chanel, Paul Revere, and Kara Walker as well as Rhode Island artists and designers. Based at the University of North Carolina at Chapel Hill, the Ackland Art Museum is a museum and academic unit of the university and features a notable permanent collection of about 17,000 works. Founded by William Hayes Ackland, the Ackland Art Museum’s collection spans a wide range of art periods from African art and European masterworks to 20th century and contemporary art and North Carolina pottery. Notable holdings in the collection include a selection of Asian art, works on paper, painting, photographs, and drawings as well as works by renowned artists such as Albrecht Durer, Pablo Picasso, Eugene Delacroix, Jean-Honore Fragonard, and Max Weber. 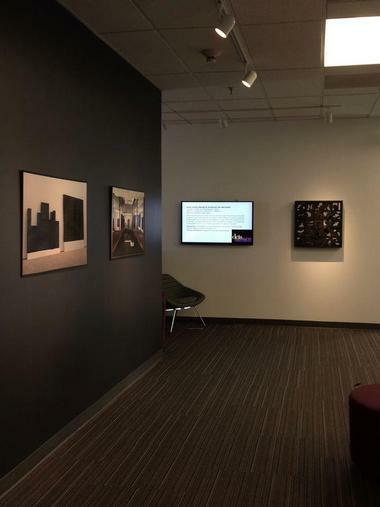 Located in and managed by the Oberlin College in Ohio, the Allen Memorial Art Museum (AMAM) is a teaching museum for the college and a valuable cultural resource for the community. Founded in 1917 by Dr. Dudley Peter Allen, the museum’s collection features over 14,000 works of art, ranging from 17th century Dutch and Flemish art and 19th and early 20th century European and contemporary American art to Asian, American and European works on paper. 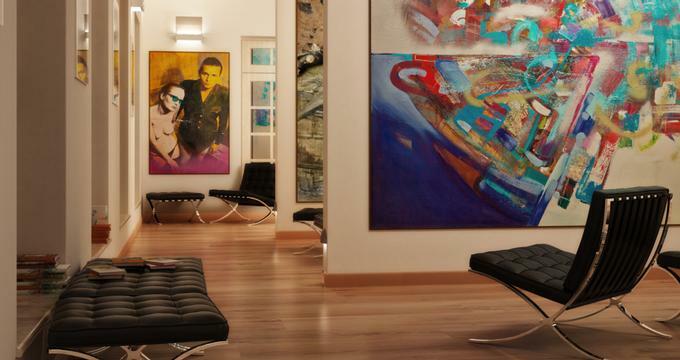 Housed in an impressive Italian Renaissance-style building, the museum holdings also feature works by world-renowned artists such as Picasso, Renoir, and Salvador Dali. The Berkeley Art Museum and Pacific Film Archive (BAM/PFA) is a cooperative managed by the University of California, Berkeley and comprises a combined art museum and repertory movie theater and archive. Founded in 1963, the museum boasts a wide range of works by notable artists like Robert Mapplethorpe, Paul Gauguin, Jackson Pollock, Joan Brown, Albert Bierstadt, Jay DeFeo, and Robert Colescott. Other interesting features of the museum include The MATRIX Program for Contemporary Art, the Pacific Film Archive (PFA), which specializes in screening international films and consists of a library of documentation associated with the movies, and the exquisite collection of conceptual art and materials of San Francisco collector and dealer Steven Leiber. The Jack S. Blanton Museum of Art, also known as the Blanton or the BMA, is located at the University of Texas at Austin and is one of the largest museums in the country. Founded in 1963 as the University Art Museum of the University of Texas in Austin, the museum spans 189,340 square feet and is home to a wealth of permanent and temporary collection galleries, rotating exhibits and displays, an auditorium and print study room, and a café and shop. The museum’s permanent collection features over 18,000 works, including contemporary and modern art, American and Latin works, Old Master paintings, and drawings and prints from Europe and Latin America. The Bowdoin College Museum of Art is a museum on the campus of Bowdoin College in Brunswick, Maine, and the arts and culture cornerstone of the college. 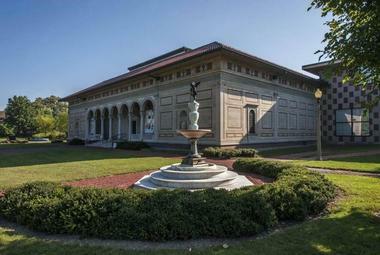 Set within in an historic building on the campus and listed on the National Register of Historic Places, the museum houses more than more than 20,000 objects, including paintings, decorative arts, works on paper, drawings, sculpture, and ancient and present-day artifacts from civilizations around the world. 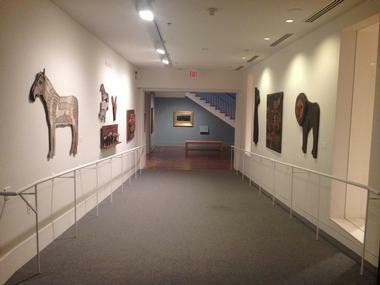 Other notable collections in the museum include an antiquities collection with over 1,800 Assyrian, Byzantine, Egyptian, Greek, and Roman objects; European paintings, decorative arts, illustrated manuscripts, and sculptures; an American collection of colonial and Federal portraits; and European Renaissance and baroque paintings. The Hammer Museum is an art museum and cultural center that is renowned for its artist-centric and increasing array of exhibitions as well as its excellent public programs. The Hammer Museum was founded by entrepreneur-industrialist Armand Hammer in 1990 to house his art collection, and today has become one of the most culturally relevant art institutions in town. Affiliated with the University of California, the Hammer Museum features five distinct collections of a variety of work ranging from paintings and pottery to drawings and sculptures. It also hosts over 300 public programs throughout the year, from lectures and readings to concerts, symposia, and film screenings. Forming part of the world-renowned Harvard University, the Harvard Art Museums are a collection of three museums, namely the Busch-Reisinger Museum, the Fogg Museum, and the Arthur M. Sackler Museum as well as four research centers – the Archaeological Exploration of Sardis, the Harvard Art Museums Archives, the Center for the Technical Study of Modern Art, and the Straus Center for Conservation and Technical Studies. Together these institutions make up the Harvard Art Museums and feature over 250,000 objects across a wide range of media from paintings to pottery and dating from antiquity to the present. 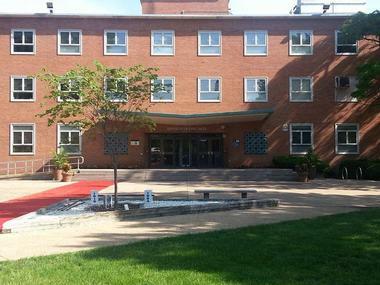 Established in 1928 by Professor James V. Herring, the Howard University Gallery of Art is an established art museum at Howard University, whose main gallery forms one-third of the college's Fine Arts complex. Housed in Childer’s Hall, the museum features notable collections of African artifacts, African American art, Renaissance and baroque paintings, and European prints. The Howard University Gallery of Art holds a vital acquisition of works primarily dominated by African and African American artists, including Henry Ossawa Tanner, Edmonia Lewis, and Archibald Motley. 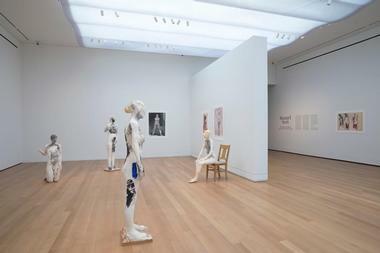 The Mead Art Museum is located at Amherst College in Amherst, Massachusetts, and is a member of the Museums 10 collective. Named after Amherst College graduate William Rutherford Mead, the Mead Art Museum boasts an extensive collection of almost 18,000 items, including American art and the works of the Hudson River School as well as ancient European and Asian art. The museum is currently gathering Russian modernist works to create a significant collection that will complement those of the Amherst Center for Russian Culture. One of the museum’s most notable benefactors was art collector Herbert L. Pratt, who bequeathed over 80 American miniatures and portraits as well as an enormous collection of decorative arts. Set on Emory University’s main campus in the historic quadrangle, the Michael C. Carlos Museum is an art museum with one of the most extensive ancient art collections in the Southeast. The vast array includes more than 16,000 works, including objects from ancient Egypt, Africa, the Near East, Greece, Rome, and the ancient Americas, all of which are housed in a striking Michael Graves-designed building. In addition to housing superb permanent and temporary exhibitions, the museum provides an array of educational programs, such as lectures, workshops, symposia, and performances throughout the year. The Carlos Museum also operates a conservation center and a teaching laboratory and publishes scholarly catalogs. 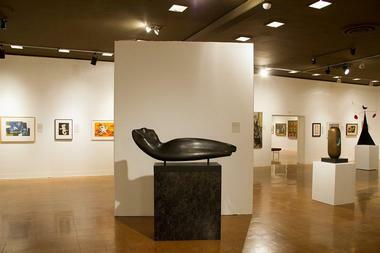 Pomona College Museum of Art is located at the Claremont Graduate University and houses a collection of American and European art, an array of student exhibits, and a variety of public programs such as an after-hours music series. The museum aims to promote innovative and dynamic art experiences that foster creative and critical thinking through exceptional exhibitions, displays, and programs of contemporary and historical works of art. The museum also encourages active learning and creative explorations between the performing and visual arts, the humanities, and the natural and social sciences. 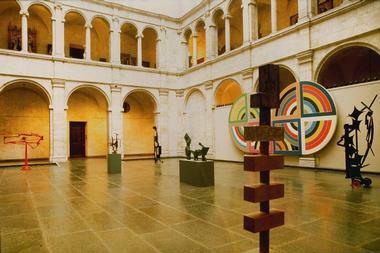 The Princeton University Art Museum is set on the campus of Princeton University in Princeton, New Jersey, and is the university’s leading art museum. Founded in 1882, the Princeton University Art Museum houses an exceptional collection of more than 92,000 works of art that range from antiquity to the contemporary period. The collection features Greek and Roman antiquities such as ceramics, bronzes, marbles, and Roman mosaics from Princeton University's excavations in Antioch; metalwork, stained glass, and sculpture from medieval Europe; and a collection of Western European paintings from the early Renaissance through to the 19th century. The acquisition also houses a burgeoning collection of contemporary and 20th century art, over 27,000 works and photographs from the late 1800s to the present, and an extensive collection of Chinese calligraphy, ancient bronze works, jade carvings, and porcelain. 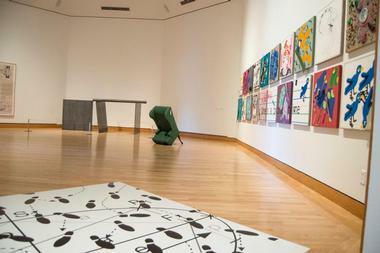 Founded in 1961, the Rose Art Museum is part of Brandeis University in Waltham, Massachusetts and displays the works of art from the university’s art collections. 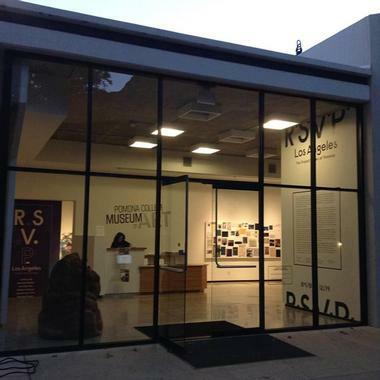 Named after benefactors Edward and Bertha Rose, the museum houses an exceptional collection of more than 9,000 objects in an array of permanent and temporary exhibitions, including works by notable artists like Willem de Kooning, Marl Bradford, Roy Lichenstein, Nan Goldin, Robert Rauschenberg, Andres Serrano, and William Kentridge. 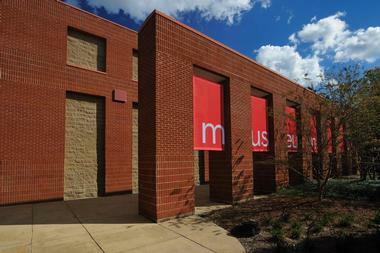 The Rose Art Museum boasts 13,000 square feet of exhibition space in three galleries and hosts up to 12 exhibitions a year. The Smith College Museum of Art (SCMA) is a prominent art museum in Northampton, Massachusetts, that is connected with the well-known Smith College and is a member of the Museums 10 collective. Established in 1879, the museum houses a collection of nearly 25,000 works of art and is considered to be one of the most impressive college museums in the country. The museum is best known for its extraordinary compilation of American and European art of the 19th and 20th centuries, including works by Claude Monet, Gustave Courbet, Edgar Degas, Paul Cezanne, Albert Bierstadt, Georges Seurat, Jean-Baptiste Camille Corot, and John Singer Sargent. The SCMA also serves as an essential cultural and educational resource for the community. 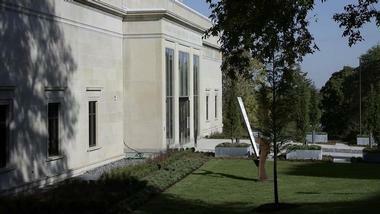 Located at the University of Kansas, the Spencer Museum of Art is an art museum located on the university’s main campus in Lawrence, Kansas. The museum houses a significant collection of almost 36,000 artworks and artifacts across a range of media that spans the history of American and European art from ancient to contemporary. Notable holdings of the museum include European and American paintings, prints, and sculpture; East Asian and medieval art; 20th century Chinese painting; Japanese Edo painting and prints; photography; and an ethnographic collection of more than 10,000 Australian, African, Native American, and Latin American works. 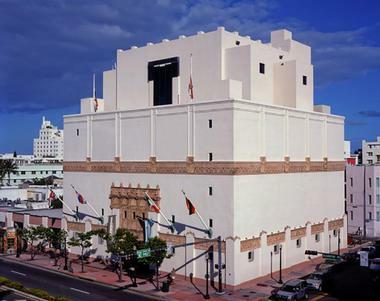 The Wolfsonian–Florida International University, also known as the Wolfsonian-FIU, can be found in the heart of the Art Deco District of Miami Beach in Florida and boasts an incredible collection of art and design. The museum, library, and research center has been a division of the Florida International University for the past 15 years and features two collections comprising around 180,000 pieces from the height of the Industrial Revolution in 1885 and the end of the Second World War in 1945. The collection spans a range of media, from industrial-design objects, ceramics, and furniture to textiles works in glass, rare books and periodicals, and paintings. 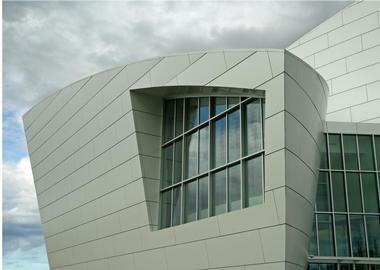 Located on the main campus of the University of Alaska Fairbanks, the University of Alaska Museum of the North is a museum that aims to exhibit, interpret, and conserve the natural, artistic, and cultural heritage of Alaska and the Circumpolar North. The museum does this through an array of botanical, geological, zoological, and cultural exhibitions, educational and science programs, public exhibits, workshop, and symposia. The museum’s main gallery is housed in Signers' Hall and uses various locations around the campus for exhibits and displays. Collections at the University of Alaska Museum of the North include the Alaska Center for Documentary Film, the Alaska Frozen Tissue Collection, the Arctic Archival Observatory, the Archeology Collections, the Earth Sciences Collection, the Entomology and Ethnology Collections, and the Fine Arts Collection, among others. Owned and operated by the University of Mississippi in Oxford, Mississippi, the University of Mississippi Museum houses a collection of artworks that focus on objects of regional interest. The collection has been designed to appeal to both scholarly and community-based audiences and features collections of Roman antiquities, Southern folk art, American fine art, and 19th century scientific instruments. The University of Mississippi Museum also owns and operates the historic house museum known as Rowan Oak, which was once the dwelling of William Faulkner, and provides the beautifully restored Walton-Young Historic House. Situated at the Williams College campus close to the Massachusetts Museum of Contemporary Art and the Clark Art Institute in Williamstown, Massachusetts, the Williams College Museum of Art is a college art museum with a growing collection of more than 14,000 works. The exceptional acquisition focuses mainly on international modern and contemporary art, African sculpture, Indian painting, ancient Assyrian, Egyptian, and Greco-Roman objects, and photography. The museum is renowned for having the most significant collection of works by the Prendergast brothers, Charles and Maurice, and houses the WCMA's Prendergast Archive and Study Center for scholarships. Set on the campus of Yale University in New Haven, Connecticut, the Yale University Art Gallery is the oldest university art museum in the western hemisphere and features a significant collection of art across all cultures and periods. Founded by patriot-artist John Turnbull in 1832, the Yale University Art Gallery’s collection is housed in several buildings around the campus and includes more than 200,000 objects ranging in date from ancient times to the present day. The permanent collection comprises African art, American decorative arts, American paintings and sculpture, ancient art from Egypt, Greece, Rome, Etruria, and the Near East, art of the ancient Americas, Asian art, and early European art.